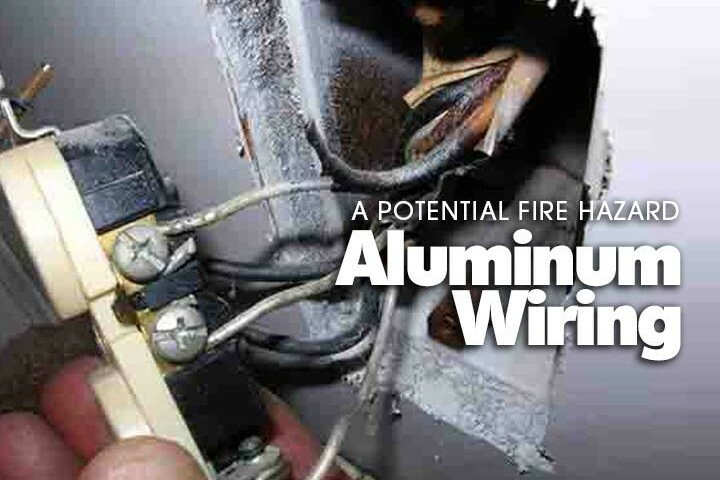 When aluminum is used instead of copper wiring, aluminum wiring fire hazards can result. If you’re dealing with a home built, added on to, or rewired between 1965 and 1972, aluminum wiring might be a problem for you. Research by the U.S. Consumer Safety Commission revealed that homes wired with aluminum wire manufactured before 1972 are 55 times more likely to have one or more connections reach fire hazard conditions than homes wired with copper. Both ASHI (American Society of Home Inspectors) and UL (Underwriters Laboratories) have extensive information about aluminum wiring on their websites.